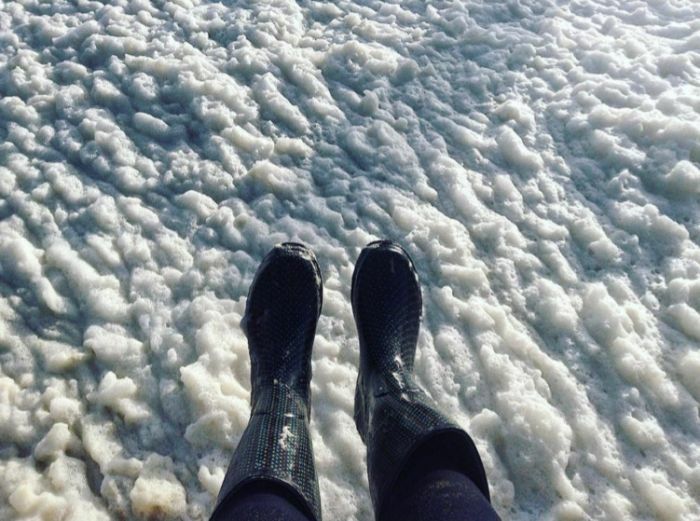 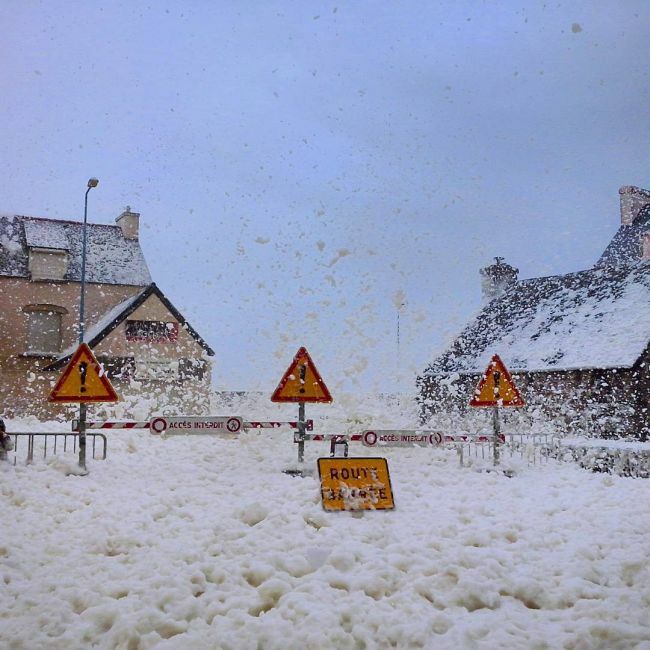 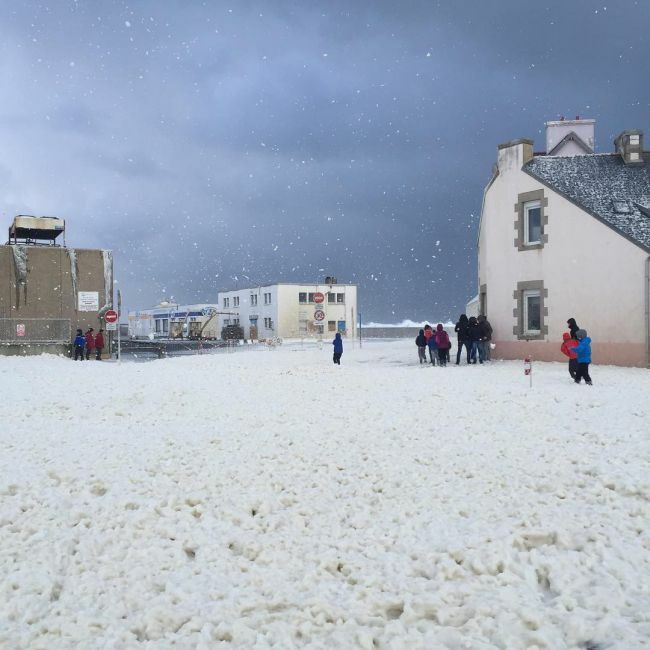 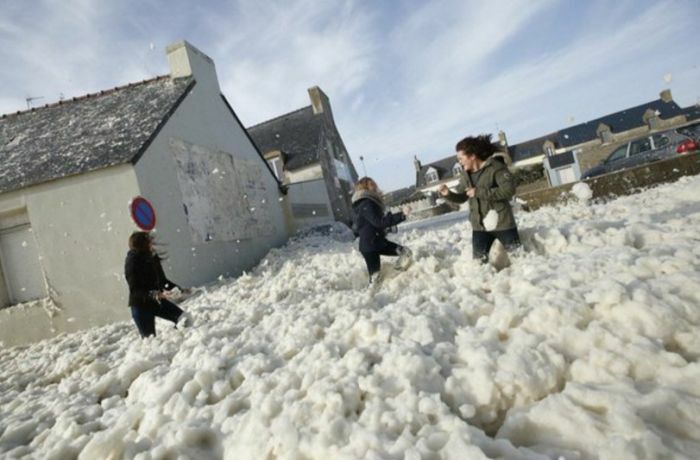 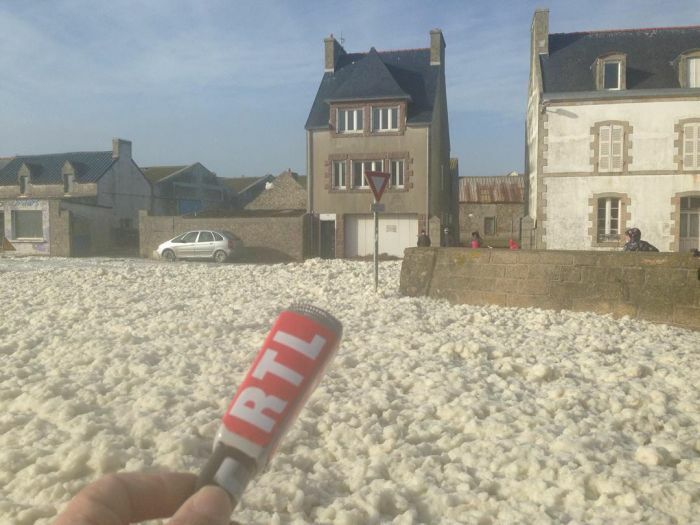 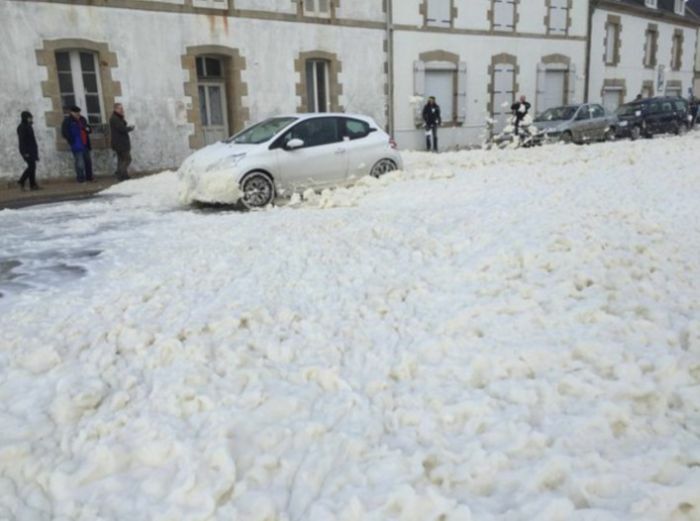 In the northwestern section of France there is coastal town called Penmarch and it's currently covered in foam. 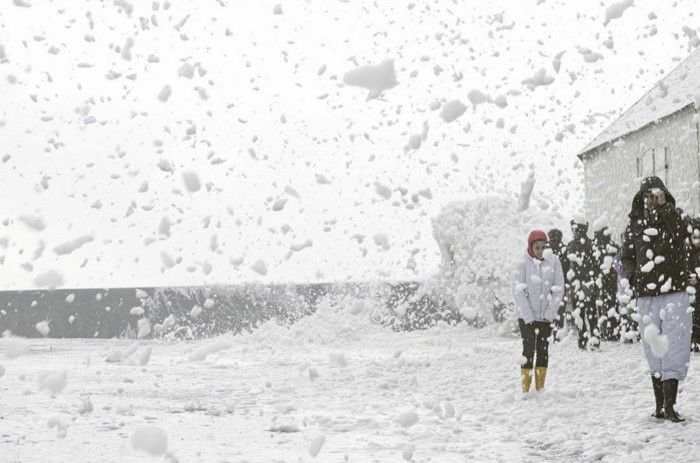 The foam is the result of ocean waves and 100 mph winds carrying sea salt and deal algae through the air. 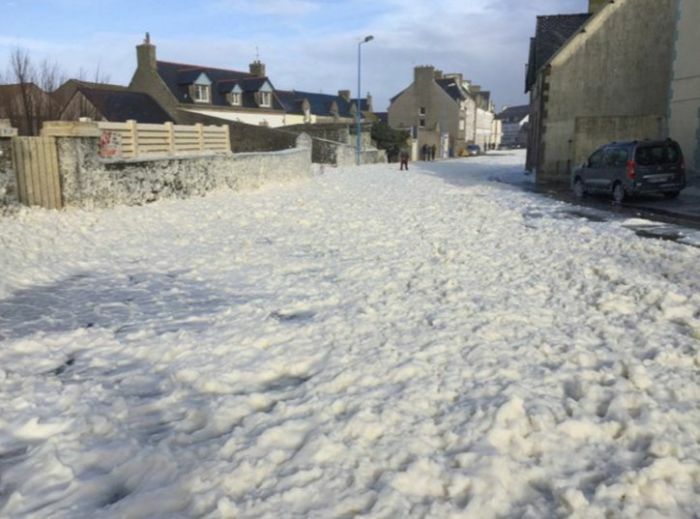 Storm Imogen recently rolled through town and now everything is flooded.